The general MRA techniques are described above. However, it is important to note the need for a delayed image acquisition in patients with abdominal aortic pathology. Many of these patients have delayed filling of vessels distal to the aneurysm or occlusion, or delayed filling of a false lumen in dissection. Therefore, it is important to review at least a two-phase exam, one phase timed to the arterial arrival of contrast, and one phase immediately following arterial enhancement. Several groups have demonstrated the utility of a time-resolved exam in this setting [4, 5]. Finally, in the case of aortic aneurysm, it is important to note that the delayed two-dimensional fat-suppressed T1-weighted gradient echo exams provide a better estimate of the true aortic diameter, including the thrombosed lumen. The normal caliber of the abdominal aorta at the renal arteries measures from 1.5 cm in adult woman, to 2.1 cm in adult men . The celiac artery arises at the T12/L1 level, the small mesenteric artery (SMA) at the L1 level, and the intermediate mesenteric artery (IMA) at the L3 level. The renal arteries typically arise at the L1/2 level. The four paired lumbar arteries arise from the aorta pos-terio-laterally, and they create important collateral pathways with the intercostal arteries, the ilio-lumbar vessels, and the gluteal arteries in the setting of aortic occlusive disease. Abdominal aortic aneurysms are defined as localized enlargement of the aorta by 50% of its diameter or more . Most abdominal aortic aneurysms are in-frarenal; an estimated 10% are either supra- or juxta-renal. While an infrarenal abdominal aortic aneurysm is considered present when the diameter exceeds 3 cm, the risk of significant morbidity and mortality increases as the size increases, with an estimated five-year risk of rupture of 25% if the aneurysm exceeds 5 cm in diameter . MRA has been shown to be accurate for the detection and delineation of abdominal aortic aneurysms (Fig. 1) . In addition, MRA is useful for delineation of branch vessel involvement with aneurysm or stenosis. The delayed images on contrast-enhanced exams are also helpful for determining the relationship of the venous anatomy to the aneurysm. Mycotic aneurysms typically are eccentric and saccular in location, which is atypical for atherosclerotic aneurysms. Common organisms include salmonella and staphylococcus, and inflammatory abdominal aneurysms are seen more commonly in immunosup-pressed patients, intravenous drug abusers, and patients with bacterial endocarditis. Magnetic resonance angiography demonstrates the lumen of the aneurysm in mycotic aneurysms. 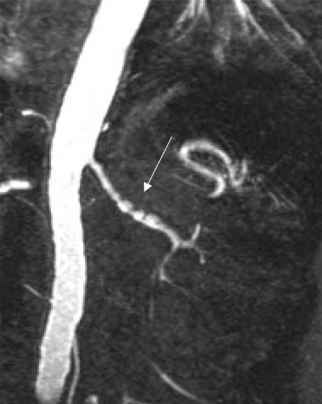 However, the delayed images on MRA techniques also demonstrate marked enhancement of a thickened rind of aorta in cases of inflammatory aortic aneurysm. However, the enhancing aortic wall can also be seen in noninfected aortic aneurysms. Inflammatory abdominal aortic aneurysms comprise approximately 5% of all abdominal aneurysms . Retroperitoneal fibrosis is a special case of inflammatory aortic aneurysmal disease felt to be due to an immune reaction that results in leakage of antigen across the aortic wall, which then triggers a fibrotic immune response to the antigen . This results in extensive retroperitoneal fibrosis associated with the aneurysm. MRA, due to its sensitivity to extraluminal soft tissue anatomy, can be useful for following the response of patients to treatment for retroperitoneal fibrosis. The progression and regression of the retroperitoneal fibrotic process can be monitored on serial exams. Aortic occlusion typically occurs in the infrarenal abdominal aorta . The majority of aortic occlusions occur due to embolization, often a cardiac source, although thrombosis superimposed on aortic atherosclerotic disease is not an uncommon cause. Other causes of aortic occlusion include thrombosis of an abdominal aortic aneurysm, trauma, dissection, and extrinsic compression of the aorta. 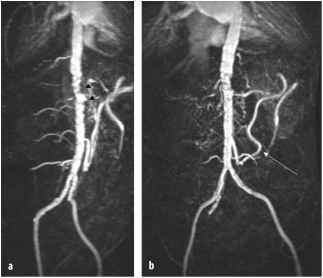 In most of these cases, a distal aortic occlusion propagates back to the level of the origin of the renal arteries. MRA techniques are ideally suited for the evaluation of infrarenal abdominal aortic occlusion (Fig. 2). Many of these patients have superimposed renal insufficiency, and the relative lack of nephrotoxicity associated with the gadolinium dyes reduces the risk of renal failure in these patients. In addition, the intravenous injection eliminates the need for intra-arterial access, which in the case of aortic occlusive disease must occur from an approach in the arm, with a small but significant increase in morbidity associated with catheter-induced complications. It is possible to visualize the common femoral and distal vascular run-off in patients with aortic occlusion using MRA due to the complete opacification of blood during the intravenous injection. Fig. 2. Aortic occlusion with Leriche syndrome. Coronal image depicting the entire abdominal and lower extremity circulation. The image is a combination of the MIP images from the pelvis and thigh station and the below-knee time-resolved (TRICKS) acquisition. Occlusion of the infra-renal abdominal aorta is shown with collateralization (white arrow), and right superficial femoral artery occlusion or high-grade stenosis (open arrow). Three-vessel run-off is shown bilaterally tic coarctation, and can often enlarge to several centimeters in diameter. MRA is suitable for evaluating patients with abdominal aortic coarctation. In particular, MRA as a noninva-sive technique, with a non-nephrotoxic contrast agent is suitable for following these patients to assess the need for medical or surgical intervention. Typical findings are seen on MRA exams, including diffuse attenuation of the aorta, with extensive collateral filling of the distal vessels via intracostal, internal iliac, and mesenteric collaterals. Surgical repair of abdominal aortic aneurysm remains the mainstay of operative treatment to reduce the risk of rupture . Two grafts are used primarily for abdominal aortic aneurysm repair that do not involve the iliac arteries. Bifurcation grafts are used in settings of abdominal aortic aneurysm with aortoiliac occlusive disease. Two types of aortic bifurcation grafts are commonly used. In the aortic onlay graft, the proximal end of the graft is anastomosed to the ventral wall of the aorta, and the distal limbs of the graft are anastomosed to both common femoral arteries. The abrupt angle at the distal aorta to proximal graft interface results in a slightly higher incidence of graft occlusion in these patients. For the end-to-end Y-graft, the proximal graft is anastomosed in an end-to-end fashion to the distal aorta. The distal bifurcated graft is anastomosed to each common femoral artery. The end-to-end Y-graft is felt to provide a more physiologic flow state at the proximal and distal anastomoses. MRA is useful for evaluating complications associated with surgical graft placement. Complications include perigraft infection, anastomotic pseudoaneurysm, graft occlusion, and aortoenteric fistula (Fig. 3). In particular, delayed, contrast-enhanced images and T2 fast spin echo images are useful for evaluating perigraft infection, which is characterized by a thick rind of enhancing tissue around the graft, as well as increased signal intensity associated with fluid collection within the thick rind of tissue. Recently, aortic stent grafts have provided a less invasive alternative to standard surgical repair of aortic aneurysms. MRA may be used for the preoperative assessment of features of the aorta that are important to measure prior to stent graft placement. These features include the diameter of the proximal landing zone, diameter of the distal landing zone, length of the aneurysm, length of the proximal landing zone, length of the distal landing zone, and status of the aortic branch vessels. used in order to reduce the susceptibility-induced signal use associated with the metallic portion of the cage. In addition, the cage itself creates a radiofrequency shield that can limit radiofrequency energy deposition within the stent graft. This limitation can be overcome by increasing the flip angle of the MRA acquisition to ensure penetration of radiofrequency energy within the stent graft. A flip angle of 70 degrees will often demonstrate the lumen of the vessel within the stent graft, despite the radiofrequency shielding that occurs due to the stent graft itself. 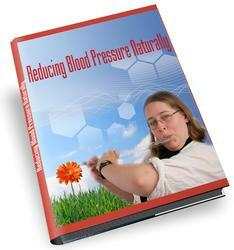 The renal arteries typically measure 4-5 mm in diameter. Therefore, high-resolution techniques are necessary for accurate characterization of renal artery stenosis. In addition, it is necessary to use a breath-hold acquisition sequence in order to limit the effects of respiratory motion on spatial resolution. The clinical consequences of renal artery stenosis include renal vascular hypertension and ischemic nephropathy. 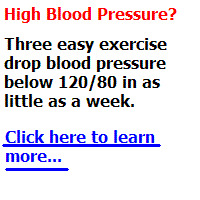 Renal artery stenosis is the cause of hypertension in an estimated 1-5% of patients with elevated blood pressure. In addition, bilateral renal artery stenosis, or unilateral renal artery stenosis in a single kidney, is a cause of chronic renal ischemia, and can result in end stage renal disease. 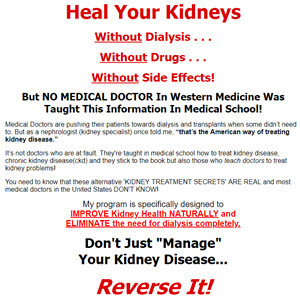 An estimated 16% of patients with end stage renal disease have ischemic nephropathy. Fig.4. Bilateral renal artery stenosis. 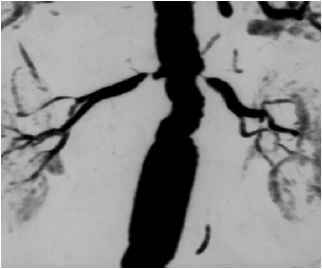 Coronal MIP display of renal arteries during IV infusion of 30 cc gadolinium contrast agent demonstrates bilateral renal artery stenosis, high exceeding 80% diameter. The patient presented with renal failure, edema, and congestive heart failure. The symptoms reversed after renal en-darterectomy. The lack of nephrotoxic contrast agent makes MRA an ideal diagnostic study in patients with renal insufficiency and suspected renal artery stenosis sia tends to cause renal artery stenosis involving the more distal renal artery and its branches, and is found in individuals at a younger age. Renal MRA has been shown to be accurate for depicting proximal renal artery stenoses associated with atherosclerotic vascular disease. High-grade stenoses are often depicted with a small focus of signal loss at the site of the stenosis. For mild to moderate stenoses, it is often helpful to acquire an additional three-dimensional phase contrast exam, which is more sensitive to the signal loss associated with turbulent flow distal to the stenosis. 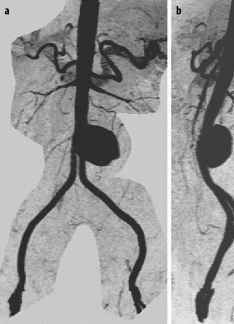 As discussed above, FMD is known to cause more focal web-like stenosis, often involving the distal main renal artery or its segmental branches (Fig. 5). The accuracy of renal MRA in this situation is unknown at this time. It is clear that some cases of FMD can clearly be demonstrated using MRA, however it is necessary to carefully review the MIPs as well as the source images to identify the beaded, irregular appearance of the renal artery. It should be noted, however, that visualization of the segmental renal artery is obscured by enhancement of the renal parenchyma by the gadolinium contrast agent. Therefore, small focal segmental artery stenoses are difficult to identify on renal MRA. In suspected cases of mesenteric ischemia, it is important to maintain high spatial resolution in the anterior/posterior direction, therefore either a coronal acquisition with thin slices or a sagittal acquisition is often chosen. In addition, the use of fat suppression improves the contrast between the opacified vessels and the surrounding mesenteric fat. Likewise, visualization of the distal mesenteric vessels can be improved by administering a meal, since mesenteric flow increases substantially following a meal, therefore improving opacification of the distal vessels. The celiac axis arises from the aorta at the T12/L1 level, and classically gives off three branches including the left gastric, the splenic, and the common hepatic artery . Variations in the branching pattern are seen in up to 40% of individuals; most commonly (in 15% of individuals) the right hepatic artery arises from the superior mesen-teric artery. The left hepatic artery arises from the left gastric artery in an additional 10% of individuals, and an estimated 5% of individuals have an accessory left hepatic artery arising from the left gastric artery or an accessory right hepatic artery arising the superior mesen-teric artery . The SMA arises at the L1 level, while the IMA typically arises from the anterior aorta at the level of L3. Mesenteric collateral pathways form important anasto-motic pathways for blood flow in cases of mesenteric ischemia or aortic occlusion. Collateral pathways from the celiac artery to the SMA are commonly seen via the pan-creaticoduodenal arcade and the arc of Buehler, which is an embryonic ventricle communication of the celiac artery to the SMA. Collateral pathways from the SMA to the IMA including the arc of Riolan, which are short SMA to IMA collaterals centrally, and the marginal artery of Drummond, which is the arcade along the mesenteric border of the colon. Finally, collaterals exist between the IMA and the internal iliac arteries via the superior hemorrhoidal arteries. Mesenteric ischemia may either be acute or chronic in etiology. Chronic ischemia occurs when there is progressive atherosclerotic occlusive disease of all three mesenteric arteries, and patients typically present with weight loss and chronic abdominal angina (Fig. 6). Patients with acute mesenteric ischemia, in contrast, usually present with an acute abdomen and are not suitable candidates for MR due to their altered metabolic and septic status. Chronic mesenteric ischemia is most commonly caused by atherosclerosis with stenotic involvement at the origin of the three mesenteric vessels. Acute mesenteric ischemia is most often caused by embolization, and therefore MRA or CTA may be used to detect the presence of an acute thrombus within the mesenteric artery. Additional causes of acute mesenteric occlusion include aortic dissection with sudden occlusion of the mesenteric vessels due to branch vessel involvement of the flap and vasculitis. A median arcuate ligament syndrome is an additional, somewhat controversial syndrome, whereby there is compression of the origin of the celiac axis due to the median arcuate ligament, which connects the crura of the diaphragm . The angiographic diagnosis is classically seen as compression of the superior aspect of the artery, and this finding is most often seen in young, thin women. Some patients complain of abdominal pain, weight loss, and nausea, however the relationship of the celiac narrowing to these symptoms is somewhat controversial. The apparent stenosis is often worse on expiration abuse. The finding is not infrequently seen on MRA examinations of the abdomen. Repeat imaging during inspiration and expiration may be useful to further characterize whether the lesion is fixed or not. In addition, it is possible to measure blood flow velocity increases at the site of the stenosis, although the role of these flow measurements is currently unclear.